As a nation we are becoming more and more aware and vocal about mental health problems. These problems can be cause by anything from a low level of anxiety right through a diagnosable disorder such as Bipolar or Depression. With more and more people talking about their own experiences of mental health and ways in which they deal with the issues that they come across it is hoped that there will no longer be a stigma attached to these kinds of problems and more people will get the help that they need and deserve. 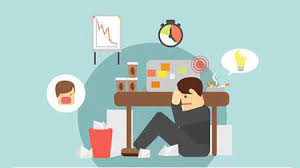 Helping someone you know who is struggling with an issue seems to come as second nature to most people but occasionally then that person is an employee of yours it can be hard to find the right balance and is why Occupational Health Cardiff company https://www.insightoccupationalhealth.co.uk/ support businesses with issues such as these as well as other sickness issues. With around one in four people experiencing a mental health issue each year it is incredibly important that we all educate ourselves on the issues that some people are facing and the small ways in which we can help. It is thought that around a million people are claiming incapacity benefit each year here in the UK for mental health problems and that there is a cost to the country of around £25 billion per year related to mental health issues. This included hospital treatment, sick days from work and a variety of other factors. It is also estimated that around 80 million work days are lost to staff members experiencing high levels of stress, anxiety and depression, so the problem is much bigger than most people first imagine. Although the number of people out of work due to mental health issues may first seem very high, they are actually the proportion of unemployed who desperately want to work, with an estimated 90 percent of people out of work with mental health problems wanting to find employment. The reason why they often remain unemployed is that over half of them feel that they don’t have the right support available to them to be able to find a suitable position. For those already employed it has been noted that other colleagues are the biggest support for those dealing with mental health issues with 65 percent of people stating that they felt they had a good support network at work. However around 13 percent of people felt that they didn’t have access to the support that they needed. This is where an occupational health company can help.